The cloud is the future we provide the manpower and techs kills to small and medium sized business that helps them challenge the best in the industry. At mindmyhost we have created a set of awesome packages that take away the stress of quality hosting from your mind and from your wallet. We believe in making world class hosting available to entrepreneurs worldwide. Did you know less than 7% of websites on the internet open in under 3 seconds. At mindmyhost we help you optimize your code for speed and security. That backed by Amazon technologies help you load fast regardless of location. At mindmyhost we have built websites on AWS since 2012 our team works around the clock to create and always improve our security protocols. Our standard packages include ssl with almost 7 layers of extra security added over traditional hosts. At mindmyhost we bring your website onto AWS servers optimized for 100 times its current bandwidth. All our packages focus on adding multiple layers of security to your website we provide and 1 to 1 service to optimize your site speed and security as a part of all our plans. Faster websites mean better UX, Satisfying UX leads to higher conversions page speed is playing a big roll in SERP rankings in 2016 and this trend will grow. Get ready for the future today. Mindmyhost was started with an idea to help people get the best hosting in the world at a reasonable price. Our team not only helps you set up a host but consults you in optimizing and improving your website. We are people first company and we build relationships before we host. Mindmyhost does not own any server it rents out. We backpack 100% on Amazon web service technologies making world class servers available to you at a fraction of the market price. 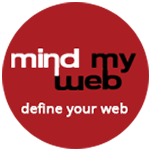 At mindmyhost we don't own a single host . We work to create and manage your products on quality web servers based on AWS (Amazon web services) we are a service provider only and our business model helps startups and young business get started in no time. By sharing our technical skills we help reduce your cost and get your business on server architecture that is built for the best. With our service plans we have created a win situation that works for everyone. If you need a custom server solution we can create and manage a server for you . See our Gold and Platinum plans for more information. To simplify the problem of office email we have partnered with Google for business . We believe in keeping things simple and only provide quality Hassel free web services. Jump your existing architecture on aws and add extra layers of security plus CDN via cloud front. urity plus CDN via cloud front. Suitable for : Any business looking to move up to the next level. We offer full time support as per your business needs. We set up and maintain your AWS account. You save on AWS support plants and get 10 hours a month from a real expert who will manage your account. To get started just leave some details about you and our member of our core team will touch base within 72 hours.